We found 5 episodes of More Than Just Code podcast - iOS and Swift development, news and advice with the tag “blackbox”. We follow up on the Chevy Nova story. We debate Tim's iPhone 7 Plus and iPhone 8 Plus, phone back's friction coefficient throw down. We follow up on Apple's former GPU maker Imagination sale, the cost of building an iPhone 8 and Dyson is building electric cars. We discuss the FaceID Security Guide and Amazon's hardware event. 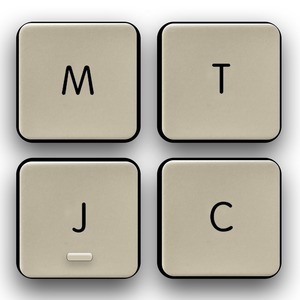 Picks: Monster Truck AR, JSON to Swift, TypeScript, Go, C#, Java, and more :: quicktype. This week we discuss Blackbox's update and T-shirts. We follow up on top 10 articles on Swift and Apple's commitment to Pro computing. We discuss the outrage on Amazon's web service S3. We discuss the Department of Defense's entry into open source software. Google vs Otto and Uber is covered as well as more rumored features in the iPhone 8. Picks: Convolutional Neural Networks, Google Cloud Next and Twitter Image Pipeline iOS.